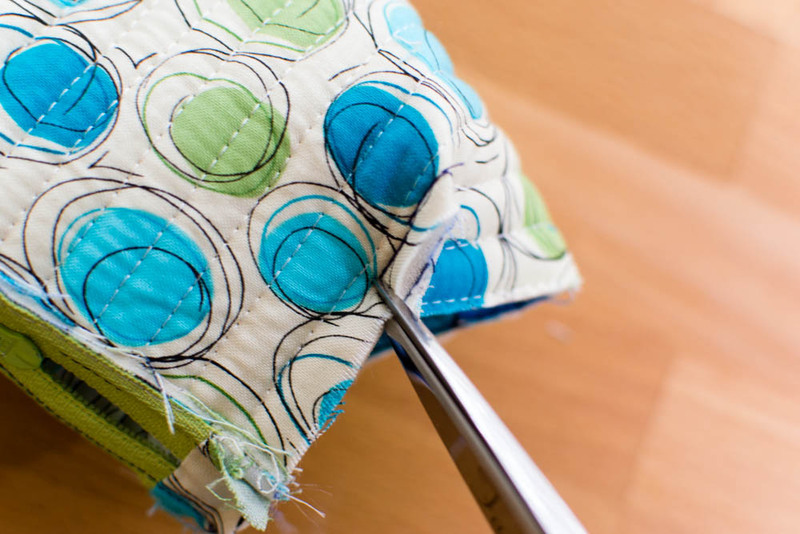 Is there anything cuter than a little handmade pouch? I have a hard time saying there is... I just love little pouches so much! Besides using them to organize my sewing supplies, makeup, pencils and pens, my purse, office, and even my kitchen (lol), I love giving them away as gifts with a little surprise tucked inside. 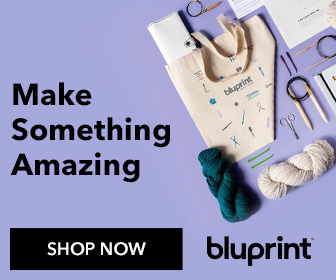 That's why I'm so excited to share with you this new sewing pattern that I've been thinking about and experimenting with since before Christmas! (see my inspiration photo here). And in this one I easily fit four full-sized Aurifil thread spools. You can also fit over 100 Wonderclips in a Pillbox Pouch! You may have noticed that these three pouches look slightly different. In order to give you flexibility to use whatever materials you have on hand, I tested the pattern using three different materials to stabilize it. The first one above (with diagonal lines of quilting) was made with a scrap of Warm & Natural quilt batting on the inside. The second one (with straight horizontal lines) has ByAnnie's Soft and Stable inside. And the third pouch (with no quilting at all) was made with fusible fleece. 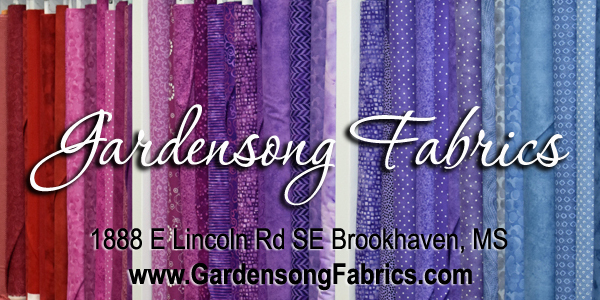 I love them all and can't pick a favorite - so I'll let you choose which material you want to use. It will turn out great no matter what, I promise! 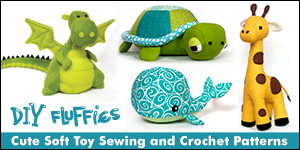 Are you ready to get to the Pillbox Pouch Sewing Pattern already... let's go! Finished dimensions: approximately 4'' x 6'' (not including the handle). Use a 1/4'' seam allowance. 1. 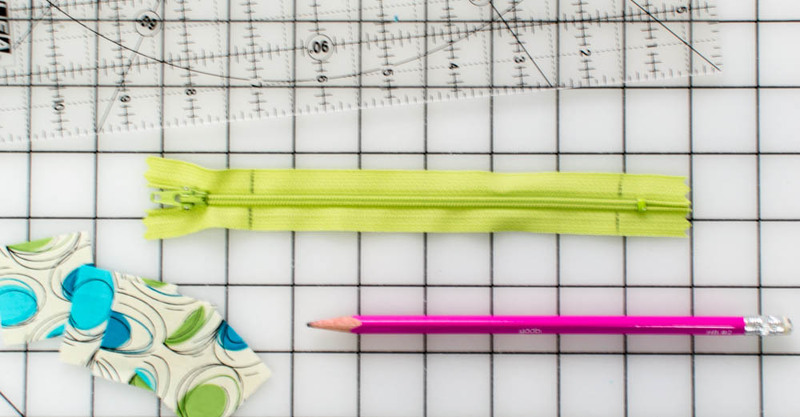 Cut your fabric and batting or other stabilizer pieces to the dimensions stated above. 2. Sandwich the batting, Soft & Stable, or fusible fleece in between the two pieces of fabric (with the right sides of the fabric facing out. Use quilt basting spray to hold the layers together. If you are using fusible fleece, you can press to fuse it to one of the fabrics and use basting spray on the other side. The basting spray is very helpful, but optional. 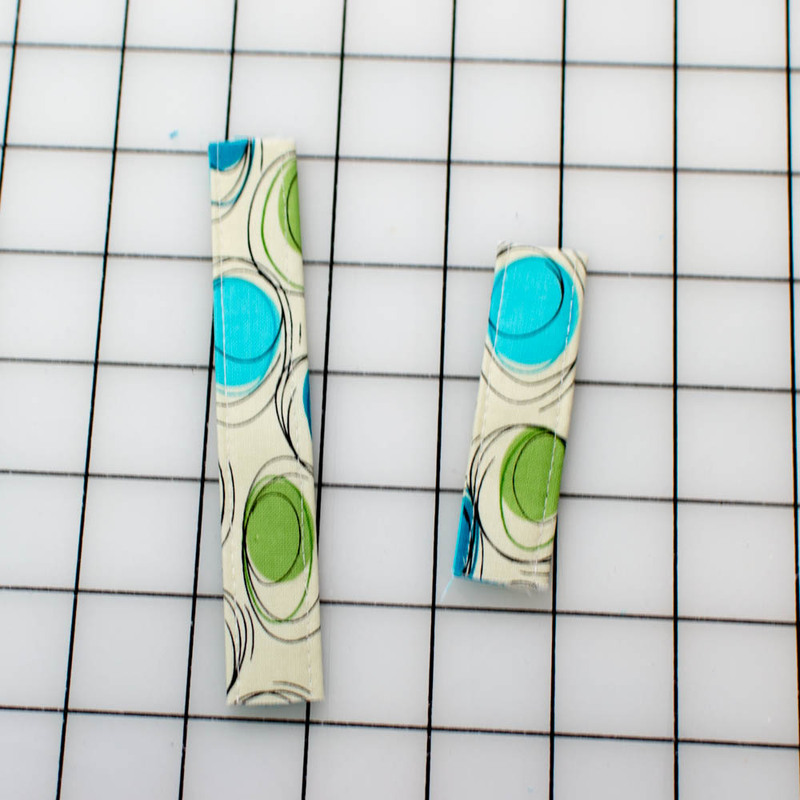 If you don't want to use it, you could simply pin the layers together before quilting or (if you won't be quilting them), baste around the edges 1/8'' from the edge after trimming to the right shape (see below). 3. If you like, quilt the layers together with any design. In the example seen here, I was using Soft & Stable in between the fabric, and it makes lots of definition in the quilting. When I used fusible fleece on the inside, I didn't quilt my layers at all. It turned out adorable! It's totally up to you whether you quilt your pouch or not. 4. Trim the rectangle down to 9'' x 8 1/2''. Then cut 1'' x 2 1/2'' pieces from each corner as shown in the diagram above right. Here is a printable copy of the cutting diagram to help, if you wish. 1. Fuse the 3'' x 8'' strip of fusible interfacing to the 3'' x 8'' strip of fabric. 2. Fold the strip in half lengthwise, press. Fold the long edges to the center, press. Then fold in half again and press as seen above. 3. Stitch along both long edges of the strip, 1/8'' from the edge. Tip: a walking foot will help if you have trouble keeping it straight. 4. Cut the strip into two pieces, one 5'' long, and the other 3'' long. Set these aside for later. 1. Draw lines on the zipper tape 5 1/2'' apart. make sure the lines are at least 1/4'' away from the stoppers at either end so you will be able to cut them off (and not break your needle on them later). 2. Cut off the bottom end of the zipper 1/4'' past the line. 3. Sandwich the end of the zipper between two 1 1/2'' squares of fabric (fabric right sides together). Stitch across the end (1/4'' seam allowance). 4. Gently press the fabric pieces away from the zipper. 5. Move the slider to the middle of the zipper. Cut off the top end 1/4'' from the drawn line. Sandwich the zipper tapes between the remaining 1 1/2'' squares and pin (as seen above left). Stitch, just like the other end of the zipper. Press the fabric pieces away from the zipper. Trim the fabric flush with the sides of the zipper (not shown here). 1. Pin or clip the zipper to one 6 1/2'' edge of the pouch, with the right side of the zipper against the exterior of the pouch piece. 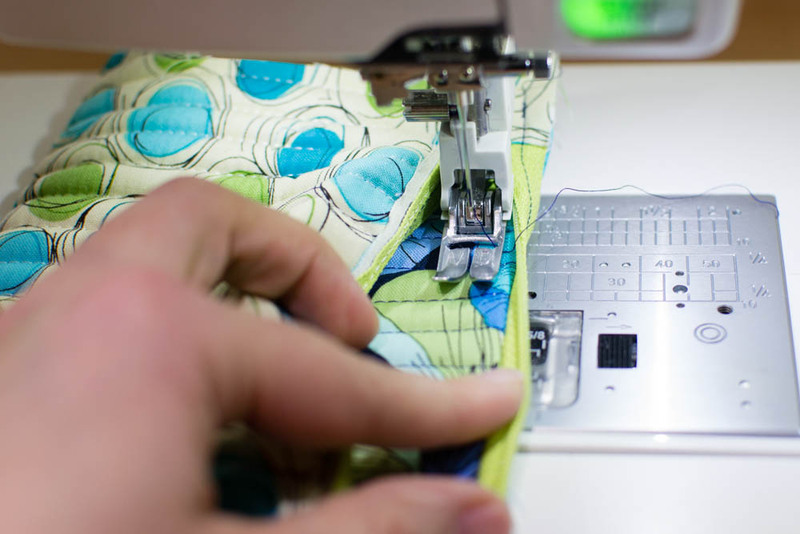 Stitch the zipper to the pouch piece with a 1/4'' seam allowance. Use a zipper foot if available. 2. Finger press the zipper tape against the interior side of the pouch. From the right side, topstitch on the fabric 1/8'' from the zipper. Tip: for a neater finish, trim the fabric and batting layers under to the zipper tape to 1/8'', so when you topstitch, they are hidden. I was too lazy to do this for the blue and green example shown above. 3. 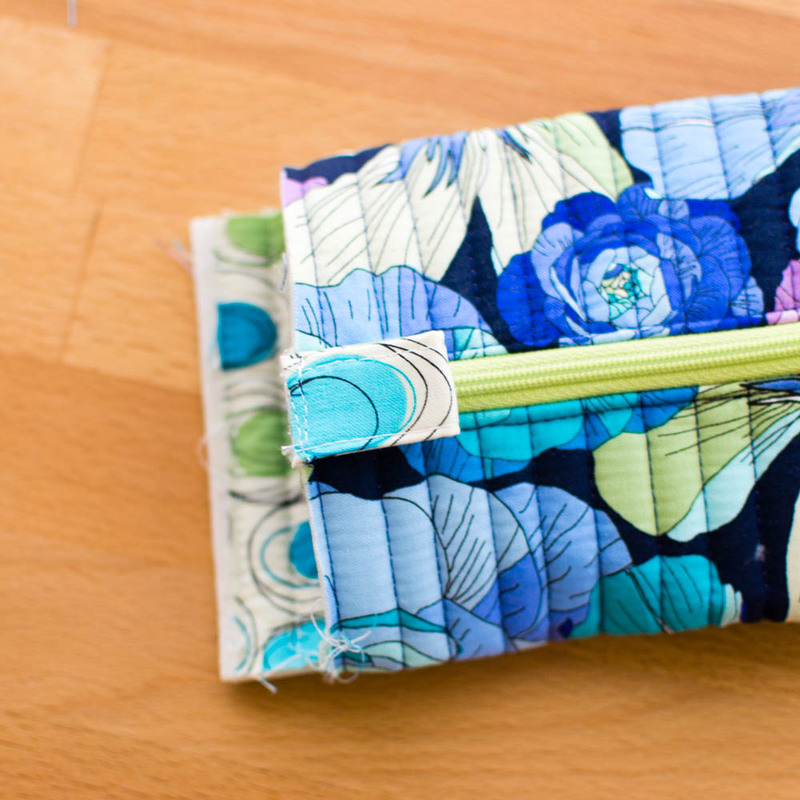 Fold the pouch in half and clip the other side of the zipper to the opposite 6 1/2'' edge. Stitch in place. The first way is to leave the pouch wrong side out. Open the zipper. Move your presser foot in through the zipper and back it up to the beginning so you can topstitch across the entire zipper.. The second way is to start topstitching through the opening at one end and sew half way. Cut threads and start topstitching through the opening at the other end. When you reach the middle (where you stopped topstitching before), neatly backstitch and cut threads. 5. Turn the pouch right side out to check your work. Trim away the fabric that sticks out past the ends. The photo above right shows how it should look. 4. Turn the piece over. Clip to the stitching on the side closest to the zipper. This will make a corner. Repeat Steps 3 and 4 above for the rest of the corners. 5. Flatten one end of the pouch with the raw edges together. It should fit nicely since you clipped to the stitching at the corners. 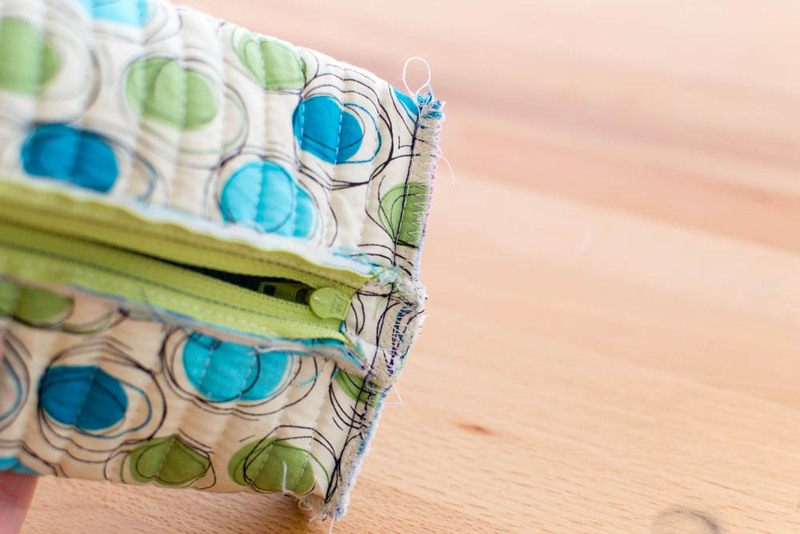 Stitch across the edge from one clip to the other with a 1/4'' seam allowance. Turn the pouch right side out to check that the end is nice and square. Make sure the zipper is at least 1/2 way open before turning the pouch inside out again and stitching the remaining end. Now use up your stash making lots more. 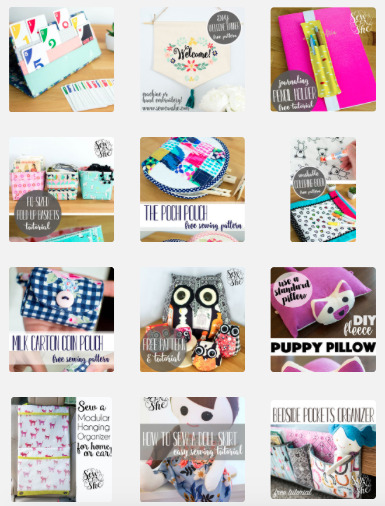 If you share yours on Instagram, make sure you tag #sewcanshe so I can find it and see! 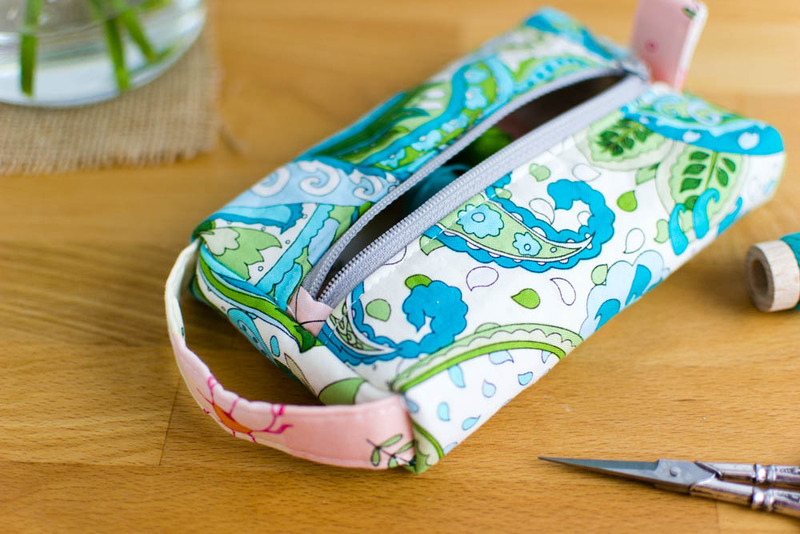 I added this Pillbox Pouch Sewing Pattern to my Ultimate List of Crafty Little Things to Sew. Make sure you check it out!